I have to admit that I'm bothered by the size of this thing. I've read enough behemoths in the last few years to know that in too many cases there are lengthy sections throughout such books where we get bogged down in dreary prose with little action and little really worthwhile information being provided. Your review seems to indicate that this is another of the same. Why don't editors send authors back to the proverbial typewriter to slice out the fat and tighten up the overall story? Maybe save a few trees in the process. Are they afraid that they might become infamous as the editor responsible for butchering the next Lord of the Rings? Your review concludes that this is a very good book, but not truly great or outstanding. I wish I could say that I'm going to buy and read this book but at 900 pages neither is going to happen. And yet if this had been a much shorter book I might have done so. There's only so much reading time available and if I were to commit my time to this as it stands I might not have time for this year's equivalents of Scott Lynch's Locke Lamora, Peter Watts' Blindsight, Jon Courtenay Grimwood's End of the World Blues, Ian McDonald's River of Gods etc. I have to agree with Ed there. At 900 pages it's about three times too long for me to seriously consider reading. Life's just too short to get bogged down in another Jonathan Strange and Mr Norrell (wonderfully well written, but only three actual action sequences in the whole book) and there's already far too much on my 'must read' list. My first thought was "sounds cool...", but then I saw the word count. Yeah, 900 words is a bit much. I just got through the first of Hobb's Liveship Traders books and that one was about 2-300 words too long. In particular, there were subplots dealing with less meaningful characters that just didn't need to be there. If this is another one of those, I'll have to pass for now--my reading list is already long enough. I blurbed this book, so you'll have to take that as salt, but I'm not inclined to say nice things about I book I didn't like or couldn't finish. And I did say very nice things about this one. I'm not normally a big reader of epic fantasy and I usually avoid big tomes like a plague of demons (yeah, yeah... I'm a light reader, so kill me), but I was drawn in and impressed by this book. Yup, it's a bit long, and yes, it could be tighter here and there, but I didn't find that a show-stopper. And I think that says a lot coming from an impatient reader like myself. As a writer myself, I don't have a lot of time to spend reading other people's books. But I finished this one in 5 days. You really don't notice the pages going by most of the time. I think what I loved most about the Name of the Wind is how it differs from the normal fantasy model. There's no prophecy, no Chosen One, no enchanted sword, talking horse, plucky sidekick or crotchety crazy wizard, and no backdrop of empires at war for the fate of all mankind. Instead it's what I've started calling "the story of the self-made hero." Rather than having a mystic destiny thrust upon him, the main character claws, cons, and fights his way into becoming a legend. I found it almost inspiring. I think it's a long book, but the way it's written appeals to me, so I didn't notice. Like Pat said, this is destined to be one of those "love it or hate it" books. I loved it. Actually, the book is only 662 pages long. I got to hear it from the author, himself: the 900 page-count is from an early, pre-release edition of the book that has since been scaled down to what is in stores now. one of the best 1st novels i've ever read. Kvothe is a great character that you find yourself cheering for througout the book. can't wait for the next one. don't let the size scare you off... it's a page turner, i'm bummed it went by so fast. ITS ONLY 662 PAGES and its the best book I read this year, on par with Scott Lynch and better then Abercrombie! An ARC is not the real deal its unfortunate that what Pat read was not the final version, I call for a re-review! Hopefully anyone who thought it would be too big have since bought this book! I just finished reading this book. Prior to picking this thick book up, I had never heard anything about it, except that it showed up on a random book list. 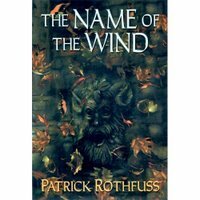 Unlike some of the "Wheel of Time" books by Robert Jordan, I flew through this book and was amazed at the depth of character present in Kvothe, the main character. Rothfuss writes with grit and style that hits close to home. 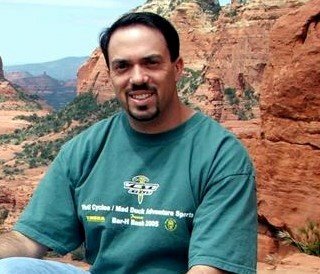 His characters are complicated, deep, and just under-exposed enough to leave us wondering how they will be fleshed outon the next page, in the next chapter, the next book. 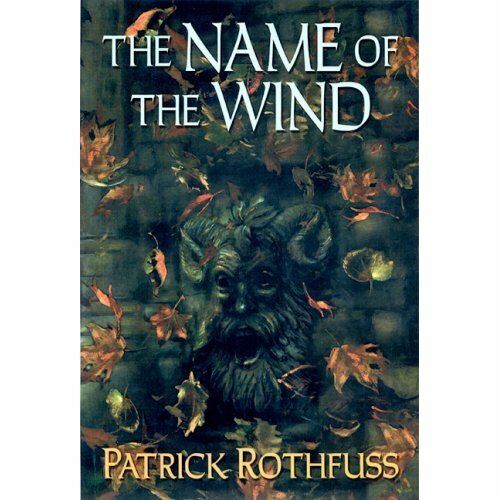 I am anxiously awaiting his next installment of The Name of the Wind series. I must have really loved this book, because I was disappointed when it ended. I could have used another 600 pages. Really looking forward to the next two. Too long? No way! I wanted more. I was amazed yet disappointed when it ended. It was one good book I have read in a while. I do not think that 900 pages is too long. Honestly, I don't know if I have ever read a truely decent book that is under 500. When looking for a good story it will be a long novel not a short book. I can't wait for The Wise Man's Fear to come out on March 11!!!! Yay! I really want to find another good book to read in the mean while. I don't care how long it is as while as it is good. Like this book, it was good enough that I didn't even notice that it was long. I finished it within a week easy. Should you see fit to refuse a book as a possibly very entertaining medium based solely upon the fact that "It's too long, and too sprear out", I would like you to consider the reality of shortening a story just to get to all the exciting, major plot points first. Yes, I agree that only having something interesting happen every hundred pages or so is incredibly tedious, but if you read The Name of The Wind, you can easily tell this is not the case. Unless of course, you're one of those people who is only interested by plot points in books that are restricted to combat, someone's lawbreaking,infidelity, or hidden nature as a tapdancing zombie creature of the Faye, in which case I suggest you find the nearest 13-15 year old boy with severe ADHD and ask him for his list of the best fantasy novels of all time. The great thing about a book is that you can read as much of it as you want at any given time. You see 900 pages and you start bitching and complaining about the length? That's nonsense, honestly. Why does the length bother you? You can stop reading at any interval you wish. That's what chapters and bookmarks are for. Furthermore, books are not about getting through it as quick as possibly just so you can have it read and then think about it. They're mean to be experienced completely while reading. Therefore the length of the book is not an issue. Hell, I wish it was longer. Now that I've finished the second book I feel strangely odd not being able to go back into Kvothe's world with him. They are long, but as Card said, not a page was wasted. If you are not engaged by the book and you are not inclined to move to the next page then stop reading it. This book is not for you. That does not make it a bad book, it just means Rothfuss's writing and your literary taste have no compatibility. Move on. Quit trying to make excuses and blaming things like the length and just go find yourself another book. Well said! I haven't read the name of the wind yet and very nearly didn't because of some of the negative comments but Kenneth has sold it to me. I'll begin immediately! Actually, the length isn't tough to overcome, Ed. Not saying I am some super human, but I work thirty-hour work weeks, go to school, and still had the book finished in a few days. Now I do not blame you for disregarding the book at the sight of the word count; but I believe the length is perfect. In fact, near the conclusion of the book I almost didn't want it to end. I felt sucked into the world of Kvothe and his adventures and heroic stunts, not to mention his tremendous intelligence. I strongly advise anyone who views/reads this comment to consider reading this novel. Can't wait for the third. Keep up the great writing, Pat. I'm almost finished reading this book, less than 100 pages to go, and I'm not seeing what all the hype was about. The main character is interesting, the writing is well done, the world building is there, and the magic system has been fleshed out a fair bit, but there just doesn't seem to be much of an interesting plot. I keep waiting for the real story to begin. Instead I feel like I'm reading the memoir of someone and we're still in the prologue before the "good stuff". I may or may not read the sequel. It will totally depend on how this book ends.